In 2013, O Holy Night was voted as the most popular Christmas carol by listeners to Classic FM radio station. This year’s most popular carol will be chosen on Christmas day, again by vote. I have to say I can’t imagine which carol could be better than O Holy Night. For me it is truly uplifting. The music, by the brilliant French composer, Adolphe Charles Adams is exquisitely beautiful, and the words, translated from the French by John Sullivan Dwight in 1855 tell the Christmas story of Christ’s birth with reverence and simplicity. I just love it. The run up to this Christmas has been particularly difficult for me and not at all festive, as my husband has been in hospital. The twice daily visits have made shopping and the usual preparations impossible. The anxiety has meant that commercialism and advertising has gone straight over my head unnoticed. The worry has pushed all thought of baking and cooking up the usual storm way out of my mind. But today, suddenly, I came face to face with Christmas in the foyer of the hospital. I had popped in to buy a cup of coffee between appointments and the Gloucester Choral Society was gathered to sing carols for the visitors and patients. The sound of their voices stopped everyone in their tracks. Old and young sat mesmerised. Suddenly frowns and wrinkles were smoothed and soft smiles took their place. A young boy of about 12 who is obviously extremely ill and disabled was wheeled to the front of the small crowd and he just glowed as they sang. I have to say my eyes filled with tears and at that moment Christmas began for me. For those of my readers who are Christian, I would like to wish you a truly Happy Christmas. For the many who are of other faiths or none, I would wish you peace and joy during this holiday season and a New Year filled with health, happiness and love. Listen to this beautiful carol and read the words ~ they are magnificent. 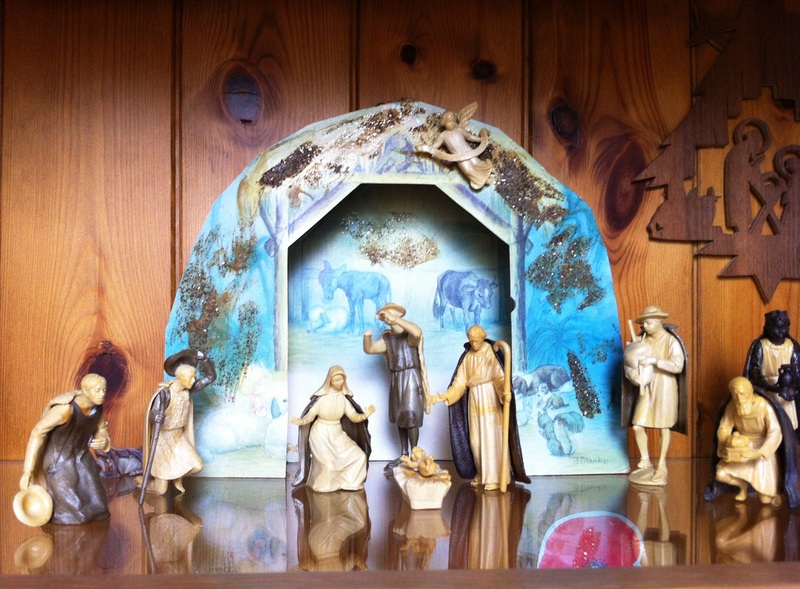 This entry was posted in Spirituality and tagged O Holy Night. Bookmark the permalink.